At any given time we care for 200 cats. We take in senior cats and cats with special needs. We actively seek forever homes through our website, social media, and adoption events. But due to advanced age and medical conditions, our cats are not as easy to adopt out as younger healthy kitties. The majority of the cats in our care will be with us for the rest of their lives. We are fully committed to giving them the best care possible by providing healthy, nutritious food; clean and safe shelter; health care; and a loving, joyful environment. On a daily basis we feed cats, clean kitty litters, administer medication, clean cat bowls, sweep floors, vacuum cat trees, launder towels and mats, and socialize with our kitties. And manage to do all of it besides working our full-time jobs! In a given week we prepare for adoption events and spend each Saturday showing the cats. In a given month, we take cats to the vet, conduct interviews and house checks with potential families interested in adoption. Due to the age of our cats, many have medical conditions that are simply part of aging. Other cats have special needs. There is no question that our greatest expense is for veterinary care. Fortunately, we work with wonderful vets who give us a discount, but as our cats age, the vet bills will continue to increase. What if I can't adopt? seeing our How to Help page for other ways you can help. The best way to learn more about our cats is to visit us at our weekly Saturday adoption events. We bring a selection of different cats each time and are there to meet you, answer your questions, educate and if asked, perform some expert matchmaking. It's a fun, informal event that's great for the whole family and a perfect way to learn about caring for rescue animals. We participate in a number of fundraising events for our rescue animals throughout the year. Our next event, Race for the Rescues, at the Rose Bowl in Pasadena is our biggest annual fundraiser. Please register and join us as a supporter at the races on October 13, 2018! Learn more about how you can participate on our events page. The Cat Posse is entirely operated and driven by a group of dedicated volunteers who rescue, rehabilitate, foster and adopt out cats. We are currently caring for 200 cats, and 110 of these cats are up for adoption. Approximately 50% of the cats in our care are ten years or older, and many have special needs. We have cats with thyroid, dental, eye and intestinal diseases; cats who need fluids on a regular basis, cats who have respiratory problems, cancer, and cats who periodically need surgeries for a variety of reasons. 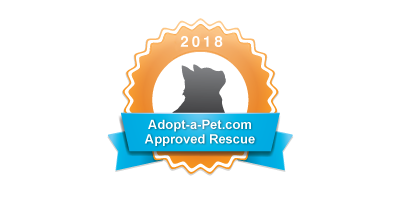 Although we take in many young, healthy rescues that are ideal candidates for adoption, our experience has shown that many of our cats, due to age, special needs, or temperament, will most likely not be adopted. These cats will remain with us, receiving loving care, for the rest of their lives. The Cat Posse does not have a shelter per se; rather, we maintain numerous volunteer foster homes in Southern California, primarily in Pasadena, Altadena, Tujunga and the San Fernando Valley. The cats we take in are strays, owner surrenders or selected from the local Humane Societies. We are fully committed to the cats in our care and it is a privilege to serve them. If you are interested in adopting a cat from Cat Posse, you may take a few moments to fill out our adoption application. The process may appear more involved than you expected; we don't do this to frustrate you, but to give you the opportunity to tell us about what you are looking for in a companion animal, and what your current lifestyle is like. We want to give each or our cats the best possible chance of finding a permanent and loving home. Please answer all application questions. If a question does not apply to you, just write in "n/a". A complete application helps us know which of our cats might be a good match for you and your family. 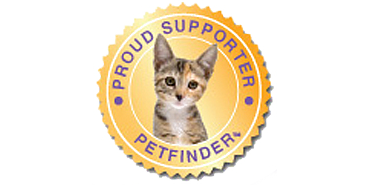 Sponsoring a kitty consists of a one-time donation of $50. All of our cats are available for sponsorship. Click the Donate button to make an online donation or visit our Donations page to see about donating large items or goods. The search function will bring up cat listings with the word listed anywhere on the page. To get more specific results, just click on the TAGS or CATEGORIES links above to get cat listings that are specifically related to the term. On behalf of all the felines at The Cat Posse, we want to thank you for your involvement and support. Whether it is an inquiry about a cat adoption, sponsorship, contribution of cat food or kitty litter, monetary donation, or helping us in any way at all, we are truly grateful to you. One of the best ways to learn about our rescue is to visit us in person at our weekly cat adoption events on Saturday afternoons at Centinela Pet Supply in Pasadena. We bring a new selection of cats to show each week, with over 100 cats that are ready for adoption and can help you select the perfect pet for your temperament, family and environment. We are there to meet, greet, answer questions, educate and give our cats a chance to get to know you!